Over the past 12 years my wife and I have bought three and sold two boats through John Kaiser. In each instance John has absolutely represented our best interest and has displayed a level of integrity and professionalism not often found in his industry. In our latest quest, John helped us identify our “one day boat”, a 47’ Grand Banks Eastbay. After scouting the local area with no success, John found her in Maine. My schedule did not allow for me to travel to the boat, so John went on my behalf. In addition to negotiating an offer, he arranged for a marine surveyor, an engine surveyor, and met with her full time captain, all while communicating his findings with me. Bottom line was, John bought the boat without my wife nor I laying eyes on her. A week later, and after retaining her captain, our “dream boat”, the BON TEMPS, pulled into the mouth of the Severn. Whether we’ll ever sell her remains to be seen. One thing is certain however, I will never sell or buy another boat without John representing our behalf. If you are a boat owner who is serious about selling your boat – then John Kaiser is the broker who can get it done for you. John sold my Carver 405 in a short period of time using a “holistic” approach. John is an expert at configuring every aspect of the boats presentation. He assessed my boat for its strong points - made recommendations on addressing cosmetic issues that would generate increased interest – took a ton of photos to show every aspect of the boat – researched similar sales to determine a fair market value – and marketed it via several mediums. That was just the beginning. He monitored web hits on a daily/weekly basis to measure interest – openly encouraged shoppers to make an offer by email or phone, no contract needed to get the ball rolling – showed the boat on a moment’s notice - and provided demo rides to those with serious interest. Communication is everything with John. We touched based several times a week. To me – it felt like my boat was the only one that he was representing. He replied to my emails and voicemail messages within minutes but most of the time he either answered the phone or called me after reading my email question to better explain the issue. This is no exaggeration – John lives and breathes selling boats…AND…he made the process very easy for both me and the buyer. John is extremely well informed about the boat market and knows all the aspects of what it takes to get a boat sold. John never stopped selling my boat. If you want a knowledgeable, calm, balanced, focused broker who can get your boat sold – then John is your man with the plan. 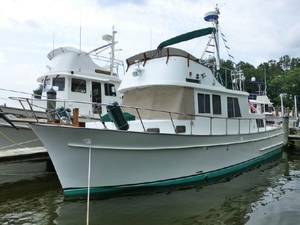 After my husband passed away last October, I knew I needed to sell our Grand Banks cruising trawler. I considered five brokers based on acquaintances’ suggestions. One stood out dramatically. All brokers--except John--described all the steps I had to take and expenses I’d incur when I listed my boat with them, e.g. hiring a captain to bring it to their yard, pulling the boat, putting it on the hard (mandatory), covering routine cleanings, etc. Each step entailed not insignificant expense. Furthermore, prospective buyers would also incur significant expense to experience the boat on the water. John, on the other hand, would captain the boat himself from my marina to his own docks, keep the boat on his docks during all reasonable weather, look after the boat daily, have a professional crew clean the boat regularly and even address minor items himself—all with no expenditure on my part! Plus the boat would be in the water so that John could conveniently take interested parties out for test spins without cost to them. During my initial conversation with John, he was obviously eager to see the boat and take steps to list it right away. He immediately visited the boat and, with my permission, took numerous photographs before he was even granted the listing. (John’s a professional photographer, so the photos were of excellent quality.) By now, John’s exceptional proactivism, professionalism, knowledge, resourcefulness and customer service were clearly evident. The decision was easy. The next afternoon I met John to sign a simple, straightforward listing contract. A comprehensive listing, including scores of photos, was up on the web that very night. In less than week, John had identified a buyer. He then shepherded us through a gentle negotiation process, and we had a contract within a couple of days. We closed less than three weeks later, all parties involved utterly pleased with the transaction. To top it off, John has a wonderfully pleasant personality that reassures and instills trust. He’s a joy to be around. As yacht brokers go, John Kaiser is in a class by himself. What could have been an expensive, protracted selling process was instead an entirely quick and pleasant one. He shielded me from the typical headaches and expenses entailed in selling a yacht. Bottom line: John Kaiser gets amazing results with a minimum of red tape and outlay to both seller and buyer. Do yourself a huge favor and talk with John about selling your boat. Compare his approach to the more typical selling process; the difference will be obvious. You will go with John and be really glad you did. I recently sold my boat through John Kaiser and Yacht View Brokerage, LLC. She was a retro fitted 1970 Charley Morgan 38'. 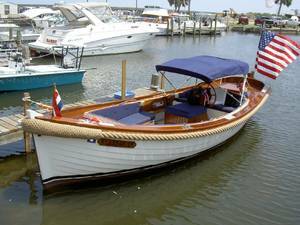 Because I was employed as a yacht broker in Annapolis, I was well aware that my boat would be competing for the time of any broker I listed it with. At the recommendation of another "high end" brokerage firm I called both John and another brokerage firm who understood the value of older upgraded yachts. 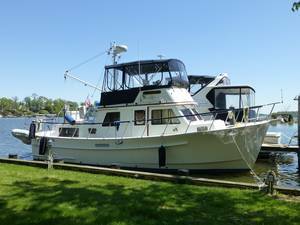 John responded by looking at my boat that very day I and came back to me with a listing price that was fair based upon current market conditions. The other broker, while interested needed more time to come up with a price. I went ahead and gave John the listing and by the next business day my boat was listed on Yacht world and under contract the following day....this all occurred over a three day period. John provided invaluable assistance in sorting out several minor mechanical problems with qualified tradesmen prior to the survey scheduled for the following week. John's timeliness, understanding of the market and all around efforts afforded a satisfied seller and an appreciative happy buyer. I first met John Kaiser in August of 2005. I came to look at a Cape Dory 30 motorsailer that John had listed. The boat was at his dock on the Severn River. At that time John was living in a FEMA trailer as Hurricane Isabel had flooded his dock home. After I purchased the boat I kept it at John’s dock for several weeks as I got the boat ready to move to my marina where my 32’ Pearson sailboat had resided. 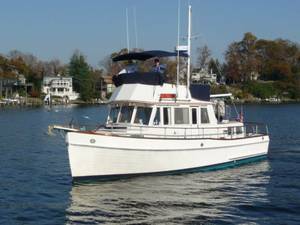 I then listed my Pearson 32' with Yacht View Brokerage and brought her to John’s dock and spent a couple of more weeks getting the Pearson ready for sale. So in the summer of 2005 I spent a considerable amount of time at John’s place on the Severn River. All thru this period I had an open invitation to participate in the various social activities that were a regular occurrence at John’s place. In less than 2 months John had successfully sold my Pearson! In the fall of 2006 I fulfilled a longstanding ambition and took the Cape Dory motorsailer down the ICW heading for the Florida Keys, Due to a late season hurricane and pressures from family and job I terminated the trip at Dinner Key in Miami. At that time I had decided for various reasons that I wasn’t going to bring the boat back up the ICW and I needed to find a place in Florida to keep the boat while putting it up for sale. The first person I thought of for assistance was John Kaiser and John came thru finding dockage for me in Fort Lauderdale and shortly thereafter finding a buyer. 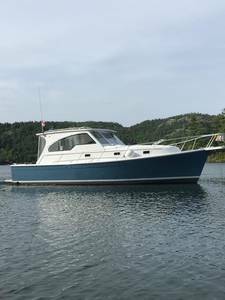 After being a non-boat owner for several years I decided this spring to get back on the water and with John as my broker located and eventually purchased a 28’ Cape Dory trawler. 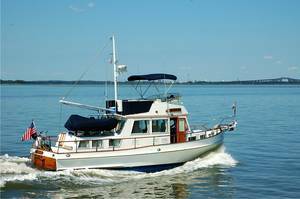 Throughout the negotiations John worked extensively with the seller’s broker in Maine, the hull surveyor, and an engine surveyor. When an issue with the engine came up John made arrangements for one of the top diesel mechanics in Annapolis to check the engine. 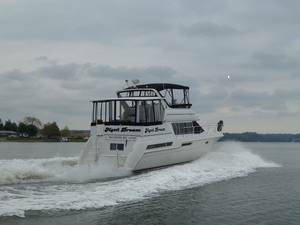 John also put me in touch with his various contacts in the boating business in Annapolis so that I was able to complete the purchase in a very efficient manner. The bottom line is I have purchased two boats and sold two boats thru John and during the process I have come to consider John as a friend rather than just a boat broker. Things have been pretty hectic with us since the boat was sold (bath remodeling, Watermark vessel training, etc.) and we are remiss in thanking you for your help in selling our boat. The use of your dock while getting the boat cleaned up and providing easy access for viewing, having the boat washed prior to the showings, and keeping us appraised of contact hits exceeded our expectations for the overall experience of getting our boat sold. We have bought and sold several boats over the years and this was - by far - our best "Brokerage" experience. After a lifetime of dealing with salesmen/brokers and managers, John Kaiser was without a doubt "Saving the best for last!" From the beginning of our association with John, it was the start of smooth sailing ahead. He'd seen our boat, on the hard, with a for-sale sign in the window, and he called. In our retirement we have learned to hang up on a lot of those "want your business" callers yet John had a sincerity about him that caught our attention. When the time came for us to get serious about selling out Nordic, we remembered John. But we'd lost his number. So strong was the impression he had made, that we began making inquires at our marina about who had used that young man from Annapolis and we reconnected. John had our boat sold in 3 1/2 months. His web site and the pictures he took of our Nordic made us almost want to keep her ourselves. Each dealing with John was smooth, direct, persistent and determined. We never doubted for one second the fact that we had the right broker for the sale of our precious baby! John is dedicated, competent, persistent, honest and it was a pleasure to work with him. If 5 stars are the best - - John gets 10 in our book. 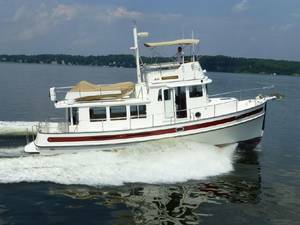 When we decided to list our 1989 36' Grand Banks Classic Trawler a good friend highly recommended that we consider John Kaiser as our yacht broker, as she had used him to sell her trawler with excellent results. We did and never regretted it for a moment! Right from the beginning he was very proactive and professional! He provided us with lots of information about similar boats that had sold and ones that were on the market, to help us decide on an asking price. The listing he did of our boat on his web site, Yachtview.com was very nicely done, including over 150 photos he had taken of "Sunrise". During the process he kept in close contact over the phone to keep us appraised of feedback from potential buyers. He also ran ads showing our boat in two boating magazines: Soundings and Chesapeake Bay Magazine. 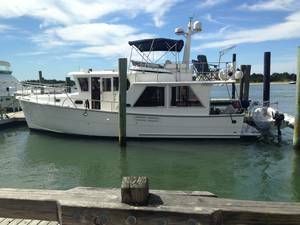 We met John on July 23, 2013 and in just over two months our trawler was sold! We couldn't have asked for a more positive experience. Thank you John! Former Secretary of the Chesapeake Bay Grand Banks Owners Assn. If time, patience, understanding and knowledge are the elements through which quality is developed, John Kaiser has proved himself as one of the best boat brokers in the industry. I met John almost 25 years ago when he introduced his unique approach selling boats with the introduction to Yacht View Brokerage, the name of the company he started in 1988. With the use of sometimes 100's of well choreographed photos, John believes that more is better when it comes to informing his Buying audience. Coupled with the photo technique is his nearly 24/7 phone access. The Value of this photo-teach, open phone method is proven by his success as a yacht broker. Over the years, John has worked with me through the purchase and sale of seven boats, each one of which , I believe, tested the qualities to which I refer. 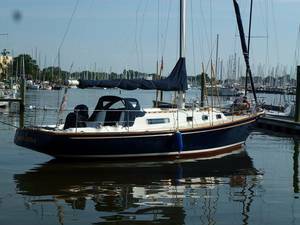 The sale of my last two boats over the past several years and the events following is an excellent example. The first of these two boats was a very unique, fiberglass lap-strake, canoe stern, motor sailor built in Finland. She was a diamond in the rough and I spent the next year, with John encouragement and advice, turning her into the diamond she was! 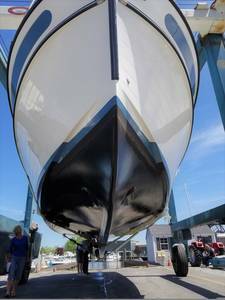 When it came time to sell her, John drove the hard 12 hours from Annapolis to Boothbay, Maine, got on the boat and took hundreds of photos featuring every aspect of the boat....even underway! That effort and those pictures sold my boat very quickly. I then found a Lord Nelson Victory Tug in Thomaston, Maine which is even further down east from Boothbay, and when it came time for Sea Trials John was there only to find out it was not the right boat for me! Shortly thereafter, I found an Eagle 32' Trawler in Tennessee. 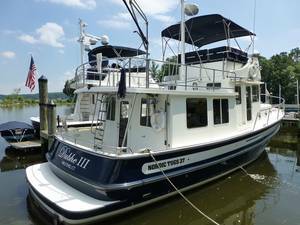 I flew to Annapolis and drove the 10 hours with John (doing business on the phone much of that time) to ultimately buy this boat...a success for me and Yacht View Brokerage! My wife and I had long planned for a trip on our new boat after her retirement in May of 2014, and we rented our house, moved on to our new boat and set off south in search of a place to settle. As we traveled we began to feel the the tight quarters of 32 feet, and by the time we reached Punta Gorda my wife began looking in YachtWorld.com for a boat that might provide more space and comfort. And she sure did find one... A Mariner Seville which is a beautiful 37 foot pilothouse trawler. Once again we immediately called our friend John who said if we were serious about this new boat (which we were). Once again, John Kaiser went way beyond what one would expect. He came to our boat in Punta Gorda, took almost 100 pictures, went to his hotel room that night and put our boat on YachtWorld. The NEXT DAY when we went to see the survey of the new boat, John presented us with a cash offer for our Eagle Trawler!!! Needless-to-say this extraordinary effort made our purchase and transition to a new boat a painless and wonderful event. Definitely a win, win for everybody, including John Kaiser and Yacht View Brokerage. John's love of what he does is felt almost immediately when you meet him. He loves boats, he loves his job selling them and he shares that love with those with whom he shares his profession. I am fortunate to be one of those. 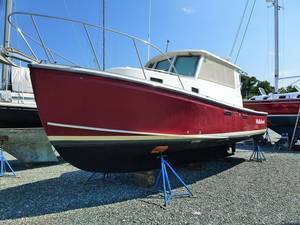 Last Fall I had the joyful experience of buying the boat of my dreams from John Kaiser in Crownsville MD. I live in Brooklyn NY, but the trips to complete the purchase from John were well worth it. Any large purchase can be anxiety provoking, but John is so knowledgeable and helpful that even my wife was relaxed. John was able to arrange for an excellent marine surveyor to inspect the boat and was generous with his time as well as his advice. There were a couple of things on the boat that needed to be fixed or replaced and John took care of them quickly and without objection. After the boat was launched this spring John allowed me to dock it at his dock until we were ready to take it back to NY. He helped us get all of the systems up and running, since we were unfamiliar with the boat. 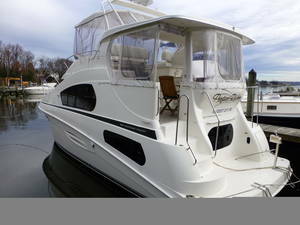 My recommendation is if you are looking to buy a boat and can at all get yourself to Crownsville, buy the boat from John Kaiser. John Kaiser, Jr. just sold my 2006 Mainship Pilot Sedan in 20 days! The whole process was seamless. I had thought about putting my boat up for sale a year ago, however, I decided I didn’t want to be bothered with leaving the boat spotless, going on sea trials, dealing with “fender kickers,” and handling all the intricacies that go along with selling a boat. This August I was drawn to the Yacht View ad in Chesapeake Bay Magazine which led me to the Yacht View web site. I was very impressed when I read great reviews about John and his work ethic. The comments highlight how he assists his clients in every way to buy and sell their boats. I called John and after an assuring conversation, I felt comfortable listing “Chesapeake” with him. On day one he visited the boat, photographed it, and placed photos with an excellent description on the web. During the week he captained the boat from my marina to his scenic home dock to showcase it. There was immediate interest in the boat and a couple from North Carolina came to view the boat. John arranged for their visit including providing housing at his property, doing the sea trial, and taking them and the boat for the survey at a nearby marina. This led to a signed letter of acceptance- purchase agreement. All paper work was sent electronically for signature by the buyer and me. The proceeds from the sale were wired directly to my bank account. From start to finish John kept in touch with me, had the boat washed, and had his mechanic do a miner repair. From beginning to end, I did nothing! John Kaiser, Jr. is truly a professional and I highly recommend him. John Kaiser Jr. is a true professional in his profession. John made the whole transition actually very enjoyable and every detail he had listed on this stunning 7M Wajer Captains Launch was even better to see for myself in person. I made the trip from Tallahassee FL to Maryland to look at this beauty and i couldn't be more pleased with my purchase. When i left Maryland with my vessel in tow I felt as i didn't just buy a boat but i met a very trusting man that loves what he does and does it with a high level of confidence, knowledge and pride. If you're looking for a Broker that is a straight shooter, honest and is with you every step of the purchasing process then I highly recommend John Kaiser Jr.@ Yacht View Brokerage. After 38 years of buying & selling numerous boats, attending several dozens of boat shows, talking and dreaming boats to anyone that listened, and meeting way too many bad boat salespeople, we have finally met a broker that really stands out in a crowd. John Kaiser exemplifies all the great characteristics that most boat brokers seldom possess. I guess we saved the best for last when we met John and asked him to help us find and settle on our most recent purchase a 2011 39' Nordic Tug. John made 1 trip to Florida and 3 trips to Connecticut with us. Very positive and creative but most importantly John is always fun to work with. 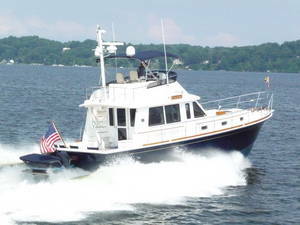 John even contacted every broker that sold a 39' Kadey-Krogen within the last 10 years trying to find us one when none were listed. Proactive and always looking for alternatives when things were down. John even gave up some of his commission to help overcome an obstacle to closing the deal. We said this is our last boat but guaranteed if we ever buy or sell another boat John Kaiser is our man. Thank you John for making this process so rewarding and enjoyable ! We expect to see you for Thanksgiving if not before. Now that I’ve successfully navigated the first 1,758 miles of the “Great Loop” and brought the “Mazie C.” from Annapolis, MD to her new Home Port here in Chicago, IL I’d like to take a moment to express my enormous gratitude for the incredible brokerage service and “above and beyond” support you provided over the past several months. Where do I begin . . . When I came to Annapolis last November, I had just left a failed negotiation to purchase another boat and decided to stop for a cup of coffee along the downtown wharf and just “chill out” for a moment. 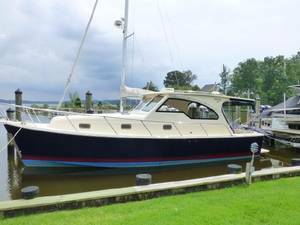 I picked up my cell phone and casually browsed over Yachtworld when I saw your listing for a 2001 Mainship 34 Pilot Sedan located in Annapolis. I called your office and got the contact information for the owner, Ted Edmunds, who as it turned out was sitting on the boat and said to come on over to take a look. Two hours later, he accepted my purchase offer and this is when things went into “Hyper-Drive”! Naturally, the offer was contingent on a qualified survey, sea trial and short-haul to confirm the condition of the boat. Somehow, you arranged for all of this to take place in an amazing span of time . . . Literally, in less than a 24-hour period!!! But this isn’t the end to the story . . . Subsequently, you helped me to successfully secure winter storage for the boat in Crownsville, MD at Smith’s Marina, you put me in touch with someone to take care of updating the documentation and title search, you helped me find a resource to address a couple of repairs I wished to be done, and you offered to berth the boat for 5 weeks at your own personal dock in the Spring. John, I’ve purchased/owned many, many boats over a 50+ year period of time, but I’ve never received this kind of support from a broker (or anyone else for that matter). Somehow, “Thank you” doesn’t seem to be enough . . .